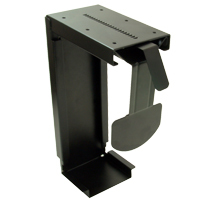 The Fixed CPU holder from KV Waterloo is non-storable and mounts in a fixed location. 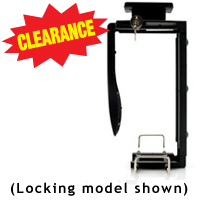 It is available in a non-lockable model (7301D) and also a lockable (7311D) model. 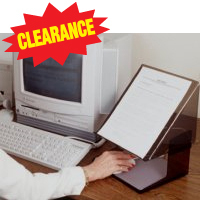 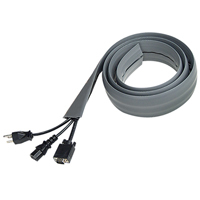 This CPU holder is storable (can slide 12" back on a 17" durable ball-bearing track) and also is equipped with a 360° swivel, making cable maintenance simple. 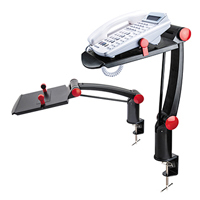 It is available in a standard model (7356D) and also a Lockable (7366D) model. 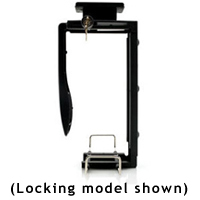 The lockable model has a chrome bar to prevent the case from sliding front to back in addition to the rubber grips on the sides of the holder which are on both models. 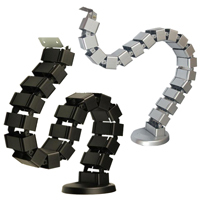 The Mobile CPU Stand from Aidata enables you to mount your CPU securely for easy transport. 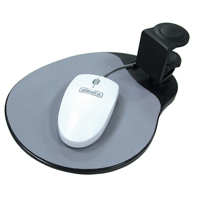 With its stylish "X" design, the stand is width-adjustable from 3" (7.5 cm) to 9.75" (25 cm), which is a large enough range to Accommodate most CPUs. 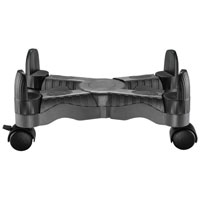 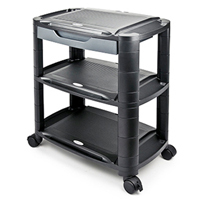 The Mobile CPU Stand is equipped with 4 swivel casters with 2 built-in brakes.